Apparently a dude rolled his R34 Skyline at Wakefield on Monday too. Gotta feel bad for them. At least they're all on a track and not taking out innocent bystanders like a heap of idiots out there. Wouldn't soften the blow individually and I definitely feel for any guy that bends a fender giving it berries. Okay, so a bit of an update. Supersprints - Rd 1 - 4th, Rd 2nd - 3, Rd 3 - 1st, Rd 4 - 2nd, Rd 5 - 1st, Rd 6 - 1st. Class championship won with one event to go, which I'm going to skip. Getting some track tyres in late May made a huge difference (I'm still on stock suspension). Hill Climb - I've just completed my 2nd hill climb in this car with a class win. This weekend was the Mattara event that used to be in Newcastle at King Edward Park (council works forced the event out, they don't mind bringing in Supercars though) and is now out at the clubs track. They were after more entrants, I was asked, so why not? Earlier in the year I'd had a run (on the same track layout) on road tyres, it went poorly as the car overpowered the tyres very easily as the throttle mapping is quite aggressive. My best time back then was a 78.31. This event (over 2 days) went (day 1)75.09, 74.61, 74.43, 73.70, (day 2) 73.69, 73.52, 72.52. Early on day 2 another competitor matched my 73.70, so there was a bit of pressure to get it together. Anyway, a good event for me. There were the reminders again that it doesn't always end well (again). A junior driver is still in hospital (observation) after the throttle jammed on his clubman (sock style air filter fell to bits and got jammed in the butterfly) and one bent F3000 car (driver ok, he got air into the bottom loop, where I crashed a few years ago and he ran along the length of the armco taking out wings and suspension). Last edited by be_oh_be on Tue Oct 02, 2018 11:47 am, edited 1 time in total. Nice work. What was your best time in the old Sti? The reminders of the dangers are never far between unfortunately. Unfortunately I didn't run the STi on the layout used. A guy I used to match for times (in a heavily modified RX-7) ran a 68.58. The fastest tin top was a LJ Torana Sports Sedan (on slicks) that ran a 67.91. A long way off the open wheelers that just dipped into the 59's. 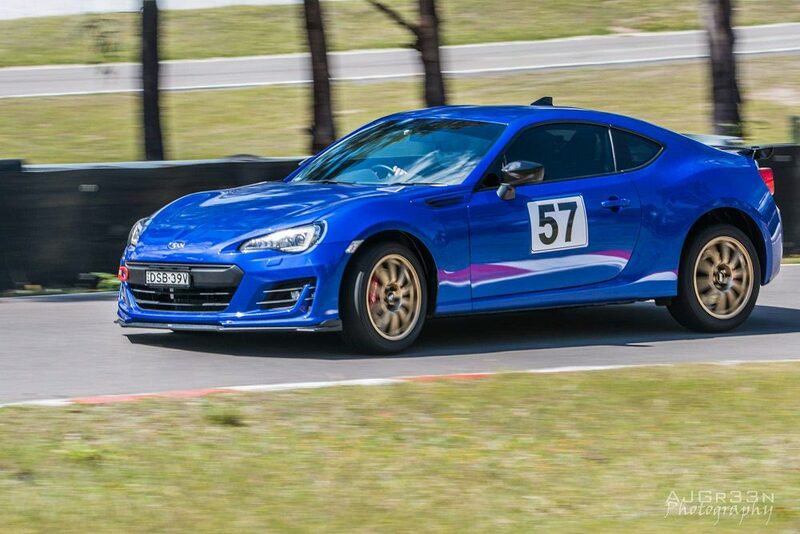 There are many times I've thought about what I could have done if I still had the STi, but there aren't many AWD's running our hill climbs these days. There were 9 cars in the class I was running. I think, with some suspension work and better driving, there is at least another second I could take off the time. Okay, so I just back from Pulse Racing where I had a check up done on the tune. I'd been having an issue, which only occurred at over 160 km/h and when the car was pretty hot, where it felt like it was pulling timing. It was something new since the flex tune was completed back in July. Paul ran it up on the dyno and ran it in 5th instead of 4th. All he could find was a small throttle issue and that I may have gotten the ecu into a safe mode due to the egt getting close to the ecu's "estimated egt" limit, so he moved that out for a bit more head room. I'm also running an oil cooler now (disconnected on the day at the dyno) as oil temp was peaking when the problem occurred. Paul also found some more power and torque for me, which was fun* in the wet around Sydney and Newcastle yesterday afternoon. Did this cost me anything? No. $0. Just my time and fuel to come down to Sydney. 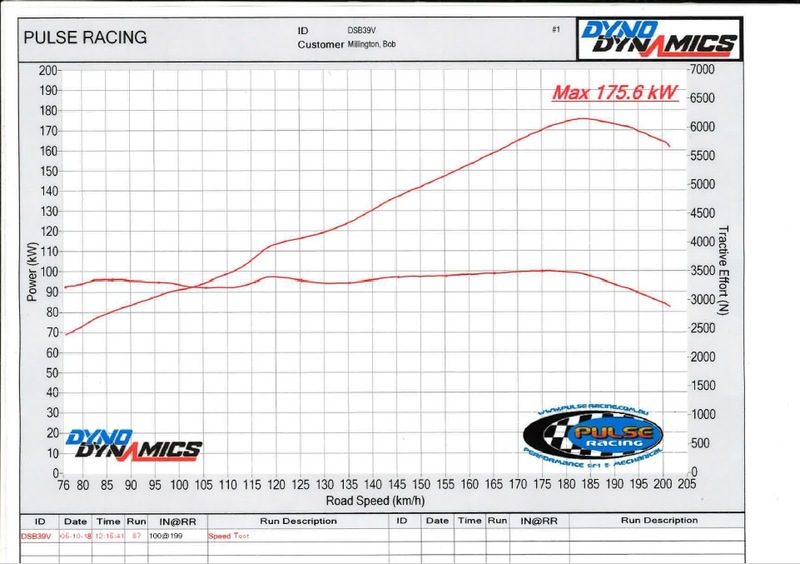 The car has had plenty of runs on the dyno. Is it legit? I dunno, I guess we'll find out next time on on a long straight. Hey Bob, how’s the car going?